Pokpong is a Lahu boy from the village of Mae Sae Koaw. His parents work as general farm laborers. He is one of eight children with two brothers and five sisters. Pokpong is crazy about sports, which is good when you are the seventh of eight kids in a really poor house where food is in short supply and it is easy to get pushed aside at the pot. 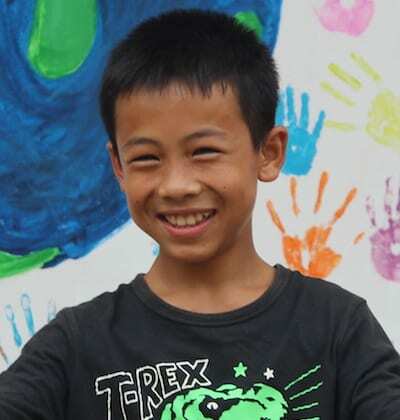 Recently, Pokpong’s family broke up and he and his youngest brother have been living with their elderly grandmother in the Lahu village of Mae Sai Koaw on the mountain ridge far above Phrao. Grandma is too poor to send the boys to school so Warm Heart supported them at Tong Roong School. 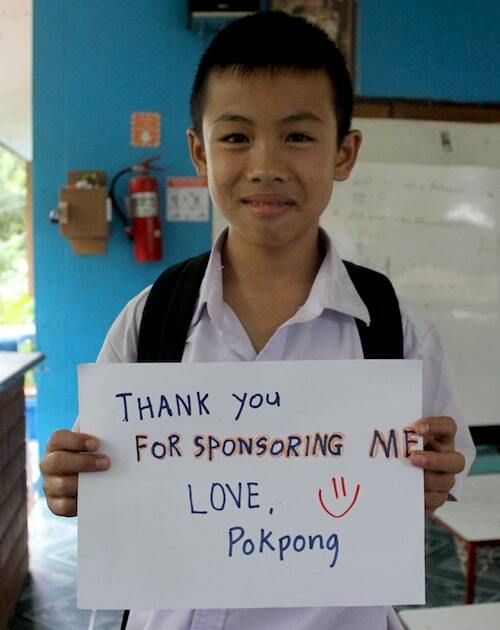 As a seventh grader, Pokpong moved to Warm Heart. He is an active member of its Warm Heart football (soccer) team and an avid ping pong player. He spent the summer break working at Warm Heart on the biochar project and helping around the farm. Some of the money he earned went to help pay for his brother’s school uniforms. He wants to go to university someday, but for now, he says he’s learning too much to decide. 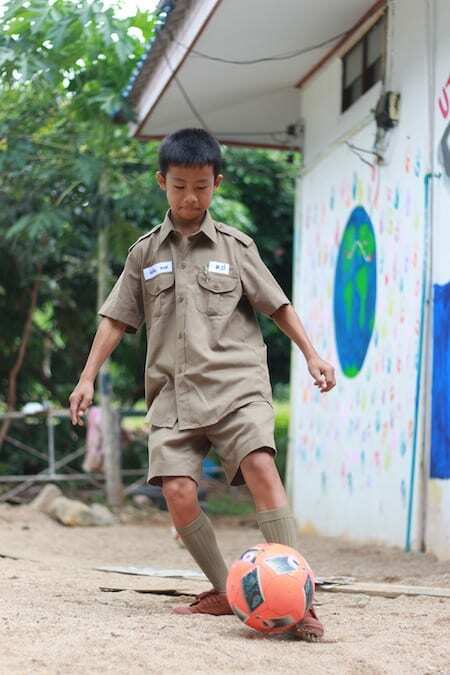 Pokpong just finished his first year at Warm Heart, from our partner school, Ton Roong, and has some catching up to do. His is now in 8th grade and studies with our after school teachers every day. Just for fun we asked our kids some questions. Below are Pokpong‘s answers to some of the questions. Hardest thing about being a child? Please give him and all the others big hugs from me. One day I am looking forward to talk to them. Maybe they wanna come to Switzerland one day too. That would be great.